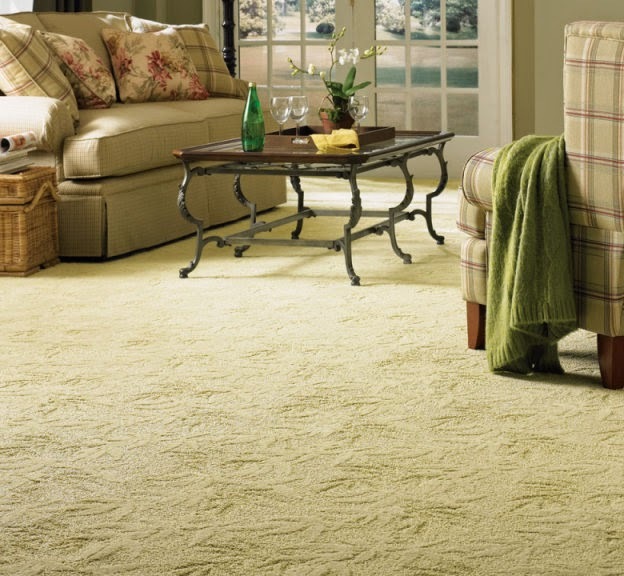 Ok, so you got that beautiful new carpeting throughout your entire home and you simply love it! You want it to remain in that exact same state; the new smell, the great looks, the cleanliness, etc., right? Well there are some things you can do to keep your carpet looking and feeling as soft and fresh as the day you had it laid, BUT, you have to care for it, and that will take a little TLC. * Clean your carpet every 12-18 months: I can’t stress this enough. Even though you may “spot” clean the carpet when you get a stain, there are tiny microbes and other critters, along with several differing kinds of unseen bacteria and dirt that infiltrate the carpet fibers and both ruin the carpet and cause it to become unhealthy if it's not cleaned on a regular basis. A simple warm steam-clean is usually all you need. It's not that expensive to have an entire house done at the same time, rather than doing individual rooms at different times during the year. So give some thought to calling in a professional to do the job right, every year, or DIY if you'd prefer. *Avoid adding chemicals: The very occasional air spray, as well as good general cleaning in the home is enough to make the home smell good. You do NOT have to douse the carpet with powders and sprays to make your home smell clean. There’s a difference between a home that smells badly and a new carpet that’s beginning to smell stale. *Keep shoes off indoors : Obviously, if your shoes are muddy (or the children come in by the dozen and spread dirt all over the new carpet) it’s going to be in need of immediate cleaning and care. *Spot Cleaning: When you have a spill or the carpet gets soiled generally all you’ll really need is some good old fashioned soap, water, and elbow grease! Seriously, there are tons of so called “Carpet cleaners” out there that promise to remove all your troubles, but in the long run, they usually make the carpet look and feel worse in those “cleaned” areas than if you just used the method above. This applies with Scotch-guarding as well. There are some carpets where scotch guard can be a plus, particularly very short- fibered carpets, but many carpets do not benefit from it at all, to say the least. The general rule of thumb is “just say no”, but be sure to ask the carpet installer or the salesperson at the carpet showroom where you bought the carpet if you need to find out more. **Special thanks to "Dr. B" for his advice and information.